If you've been keeping up with my blog this week or checking in at all over the last 10 months you would know that I have been going on quite a fitness journey! I posted on Wednesday that I've lost over 65 pounds since January! One of the biggest factors that has helped me lose weight has been working out pretty much every day. By now it's second nature to me: I find time everyday to fit it in. But back when I first started it was sometimes really hard to find the motivation. What really helped was having some fun options that didn't really feel like working out! 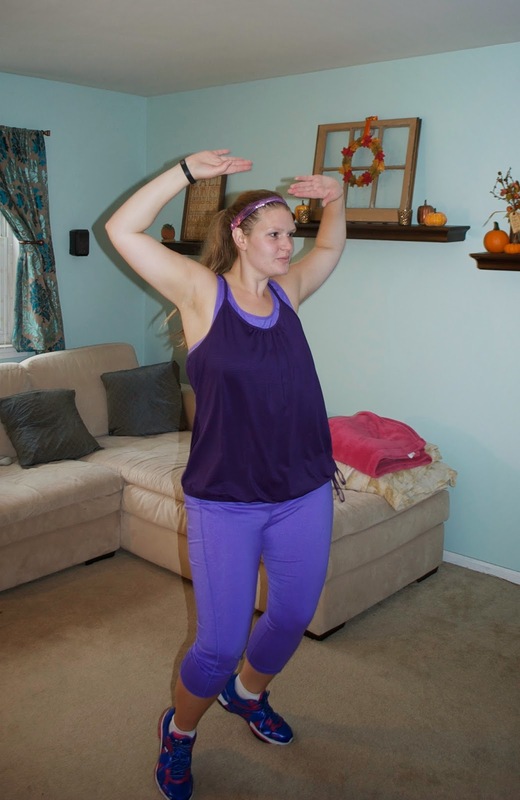 I played a lot of Just Dance 2014 when I first started loosing weight because I could do it right in my own living room and it was FUN! I played and played until I knew all the moves to the songs! I was really excited to hear that Just Dance 2015 had been released because I was ready for some new songs to groove to!!! 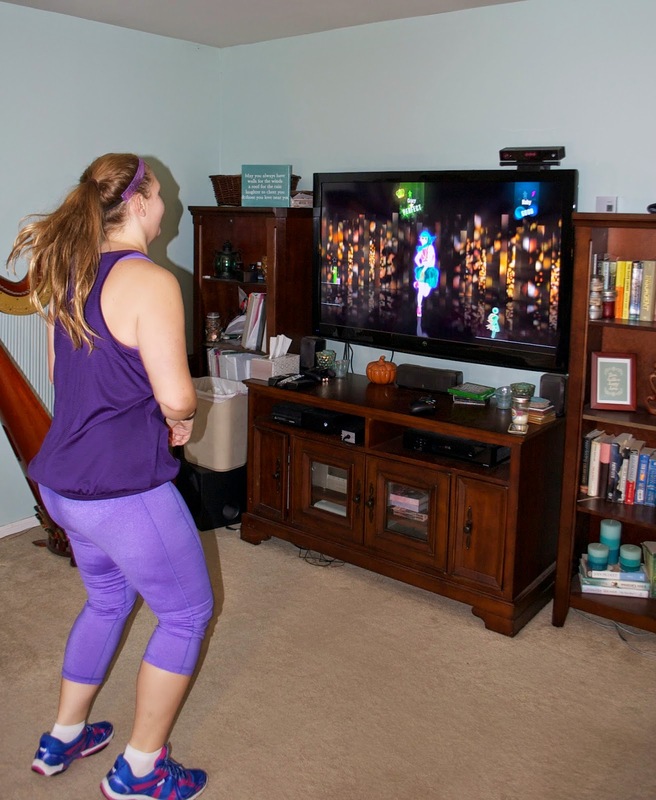 You don't have to be a fabulous dancer to play Just Dance 2015, you just follow along as best as you can and have fun! My trick it to view it as a workout. Get your sneakers on, throw your sports bra on, don't be afraid to jump around and get into it because that's how you will really work up a sweat! The game is really fun to play on your own as a workout, but it is also such a fun activity to play with a group of friends! 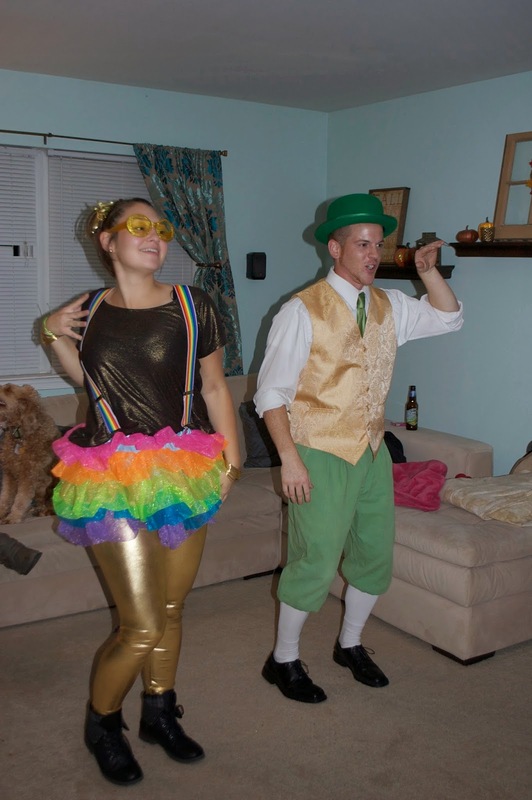 We had a couple friends over for Halloween this year. We ate some food, had some drinks and then settled down into the family room...and I could feel if we didn't do SOMETHING I was going to just fall asleep on the couch! 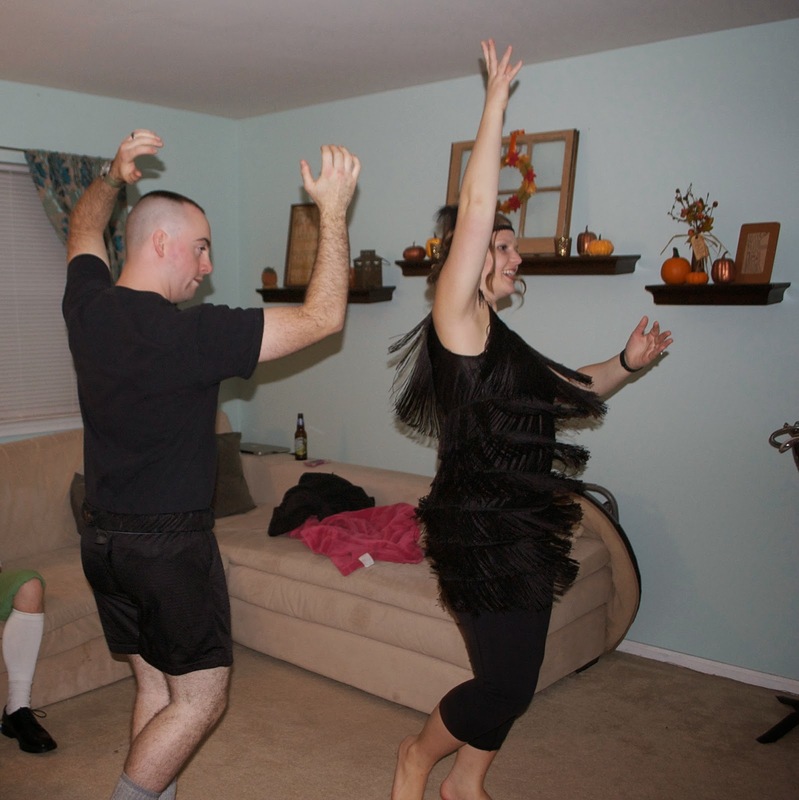 So we decided to get moving and put Just Dance 2015 on and everyone got dancing in their costumes! 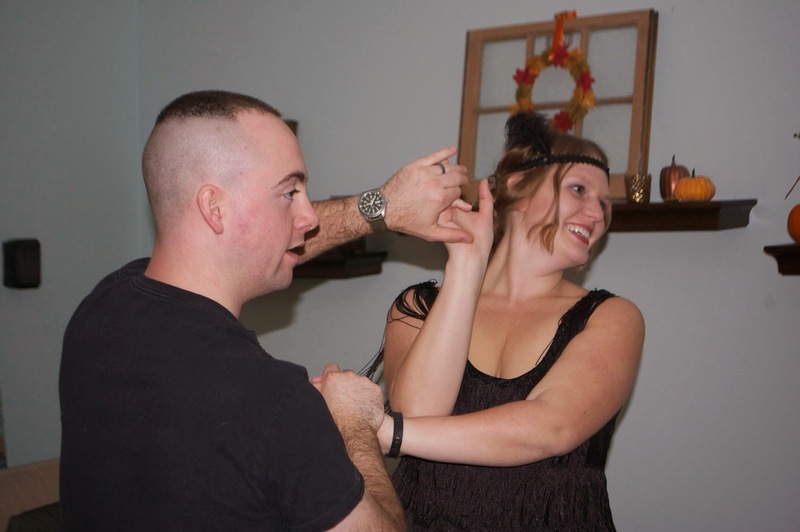 Shawn and I got dancing as well: Shawn was dressed up in a bunch of military gear so he stripped down to be more mobile and I put some leggings on under my flapper dress so I wouldn't flash our guests and we got grooving! This was "Bailando" by Enrique Iglesias, and there are soooo many other good songs on the game. Some of my favorites are "Black Widow" by Iggy Azalea, "Maps" by Maroon 5 and "Bang Bang" by Jessie J, Ariana Grande & Nicki Minaj. This is a great game for adult AND kids and teens alike. The new songs and wacky choreography in Just Dance 2015 encourage kids and teens to let loose and just be themselves! Ubisoft, the game maker, values individuality so much so that they have partnered with Stomp out Bullying to show everyone that it's ok to dance to your own beat! Overall I am really enjoying the new songs and dances in Just Dance 2015. I need to keep practicing so I can beat all of our friends next time they come over and keep sweating so I can burn more calories!! !